Everyone holds beliefs. What are yours? Do you know what they are based on? Perhaps on your various religious upbringing – Christian, Hebrew, Muslim, agnostic, etc. We adopt beliefs through traditional teachings, and these biases can be limiting in some ways. If they help you to be a better citizen, then your beliefs serve you well. How will you know if your beliefs are limiting? It starts with the big picture. Some religions teach their followers that their way is the only way. They will insist that you study only their materials and purge from your library all your other books and educational materials in favor of their way. This is another way to know that there is a limiting belief that is held by all the members of that group. Consider this metaphor. In a harbor, as the tide rises, all the ships go up. When there is an unexpected high tide, a boat having a short lead anchor will sink due to the swell. When we humans hang on to our beliefs tightly, like an anchor in high tide, we run the risk of sinking and could lose our life in this safety that we are holding onto. There may be things in your belief system that you hold as tightly as your anchor. There are many times I have been in a situation where I received information from my guides that I did not want to believe. It is easy to see a belief system in others that is limiting, much harder to see it in your own. When we notice and become aware of our own limiting belief, we can choose to change! This provides an opportunity to discover that even when we recognize, and think we know the energy of a belief, there may be an opportunity far more expansive than commonly understood. Thus, a title itself is somewhat limiting. Now, it is difficult for me to say that all of us were told many lies about many things. Many of us were lied to about the birds and the bees, certainly histories have been written by the victor which are also full of lies, and our politicians have lied to us. We have been lied to about practically everything. The biggest lies we are currently facing are about what is happening now with news media. We know mainstream media has told lies for a long time, and we also know that these lies have been tolerated. I have heard comments from people saying, “If this is true, I don’t want to live in a world like that.” And I say, when the truth comes out we must allow ourselves to unhook from judging, and deal with our shock and disappointment with compassion towards ourselves first. Then it will be easier to offer compassion to others. We can raise our standards and learn from these experiences. Certainly, it is very important that we know the truth even if it is difficult or painful. Maybe you do not want to believe, or maybe you are so horrified that you will not let yourself believe. However, once the lying is revealed and cleared out, all of us are in a much better position to be honest with ourselves and each other. But even good people tell little lies so as not to hurt someone’s feelings or not to offend them, or even to protect them. As a mom, I remember telling my older sons not to tell any of the stories about their exploits and crazy juvenile things that they had done until the younger siblings were 28 years old. I was so naïve in that moment I actually thought that my younger 15-year-old son had not heard some of this! At one point in my life I read every book about lying that I could. I learned how betrayed we feel when our lover is a liar. Brad Blanton wrote many books on the subject. Radical Honesty, being the most well-known, invites us to not hide anymore behind our little lies. I think his work is so important that I ask everyone who studies the Akashic Records with me to read Radical Honesty. Don’t get caught up with those that hang on to their anchor system. It will cause them harm eventually. Having a support system, united by a common goal, certainly is the way that mankind has armored himself against his enemies. But what if there are no enemies? What if we are all part of a much bigger system of humanity that includes galactic beings? If we rely on our own experiences and the experiences of our group that we belong to, we may be limiting ourselves. Edgar Cayce, who was a devout Christian and did not believe in reincarnation, eventually came to accept it. This is because he received many messages in his trance states describing previous lifetimes and his activities in prior lifetimes. There are many times I have been in a situation where I received information from my guides that I did not want to believe. Consider yourself a citizen of the world and not of a particular nation, your family tradition, or ancestry. Instead, consider that you already are a global citizen with your concern for the ocean, water rights, weather economies and more. Include in your new normal the caring for yourself, your fellow man, and the earth – an earth without bias and prejudice. Knowing that you care deeply for your fellow man makes you a world citizen. Limiting beliefs, are limiting. They cause us to hold certain ideas as incontrovertible. Just as there are many solutions for various diseases or illness, being open-minded invites you to expand your faith. So let us not be so concerned. Instead, ask your Higher Self about these things, and consciously choose 5D – where love is the governing force. This effective guided meditation takes you through the seven Archangels in a very powerful and unique way. Ever think of just one more thing after you’ve submitted a response? Me too! We thought of that! This meditation is unique because it is helps you focus and then gives you that second chance. 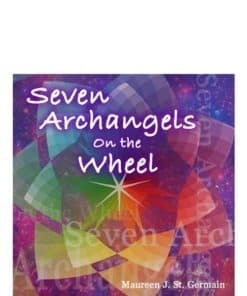 First the seven Archangels gifts are highlighted and you are shown how you can benefit from their gifts and their ability to help you clear your history, and then become your most evolved self. And finally, like a Ferris wheel, go around the wheel one more time, this time loading up new and special gifts to help you be pro-active. You’ll come away from this meditation – a new and unique you, ready for the new Milennium. So what are you waiting for?